Celebrity deaths are always tragic. Often, celebs leave this earth far too soon in terribly dramatic manners. While it's crazy because you weren't actually friends with them, sometimes their passing can hit fans extremely hard. They give you years of entertainment, you feel like you get to know them in a weird way, and then they are cruelly snatched from you. It can be as painful as losing a loved one. But every now and then, a celebrity death ends up saving lives. While it is still terrible they passed away, there is a silver lining in knowing they did one final good thing, if they meant to or not, and kept others alive. Whether it's drawing attention to a certain disease or leading to new safety measures or simply getting thousands of people to go to their doctor, the impact of a celebrity death can be unexpectedly wide-ranging. 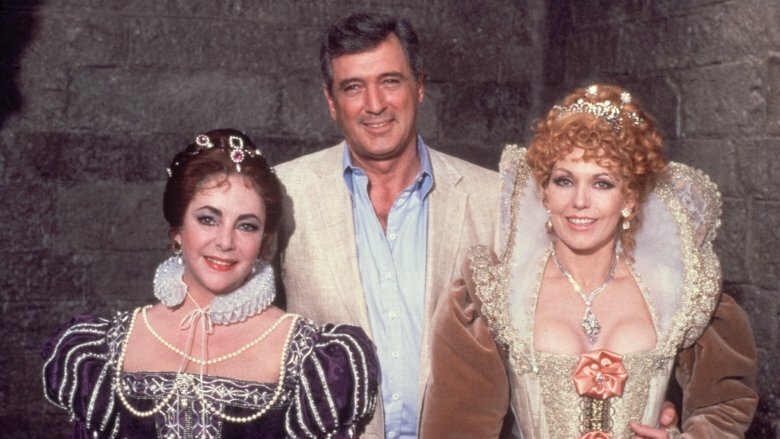 Actor Rock Hudson was like the George Clooney of his day. Turner Classic Movies says his "urbane charm, dashing good looks, and virile masculinity" made him one of the biggest movie stars of his time. He lit up the screen in romantic comedies for five decades. And then in the 1980s, people started noticing the former heartthrob looked "skeletally gaunt." Finally, he released a statement: He was dying of AIDS. It was like a bomb went off. AIDS was known as a "gay plague" and as far as the general public knew, Hudson was straight. (While he was actually gay, he almost certainly contracted the disease through a blood transfusion, not a partner.) If rich, handsome Rock Hudson could get AIDS, anyone could get AIDS. He put a face to the disease. According to CNN, after his announcement, media coverage of the epidemic tripled. Suddenly people learned about children and average Joes with AIDS, and the fact that researchers were desperate for funding. Doctors call Hudson's announcement "the single most important event in the history of the epidemic." Hollywood jumped at the chance to support one of their own. AIDS benefits became uber-fashionable. Elizabeth Taylor, who had been great friends with Hudson, credits his death with "increasing her resolve to fight the disease" and she started the Elizabeth Taylor AIDS Foundation. It became the main work of the rest of her life. Despite his wonderful filmography, Hudson's "greatest legacy" was all the lives saved by being honest about what was killing him. On June 5, 2018, designer Kate Spade killed herself in her New York apartment. Only three days later, Anthony Bourdain took his life in France. It was an unbelievably tragic double whammy. Both were so loved by the public. Spade had started a successful fashion house that sold her eponymous handbags. After she died Twitter was full of women telling the story of their first Kate Spade bag and what it meant to them. Bourdain was a chef, author, and TV personality, whose shows were hits that really resonated with viewers as few do. There was a huge outpouring of grief at his death as well. But something about two suicides of famous, beloved figures so close together made other people in pain want to reach out for help. 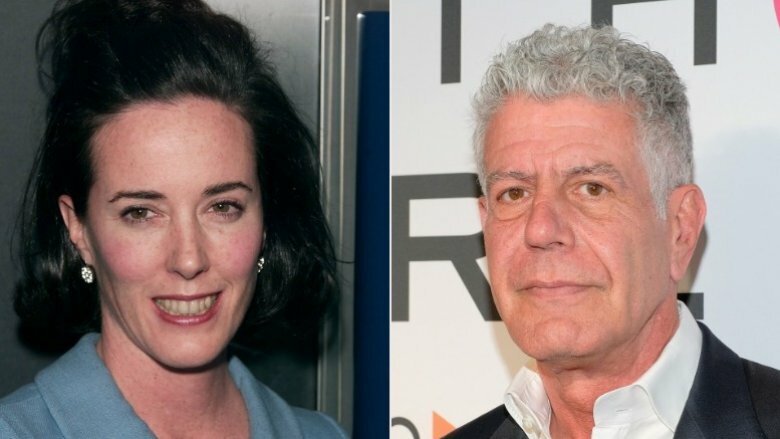 Unlike after Robin Williams took his own life, when suicides spiked 10 percent, Spade and Bourdain's passing may have saved lives. According to the Good News Network, calls to the National Suicide Prevention Lifeline went up 65 percent in the month the two celebrities died. The Crisis Text Line saw caller traffic increase 115 percent. Local help lines also saw more calls. Lawrence of Arabia was a real guy whose life was so exciting it was made into a big-budget movie in the 1960s, but T.E. Lawrence's real legacy was the lives he saved by dying horribly. In 1935, the 46-year-old Lawrence had retired from the Royal Air Force and was living a pretty boring life, according to the BBC. He spent a lot of time driving around on his motorcycle. On May 13 he was returning home from a jaunt when he had to swerve suddenly to avoid two young boys riding their bikes in the road. Lawrence was thrown over the handlebars, and since helmets weren't a thing in those days, he fractured his skull. He lost consciousness and died slowly over the next six days. But those around him didn't give up on Lawrence. He was attended by many doctors in his last week, including a young neurosurgeon, Hugh Cairns. 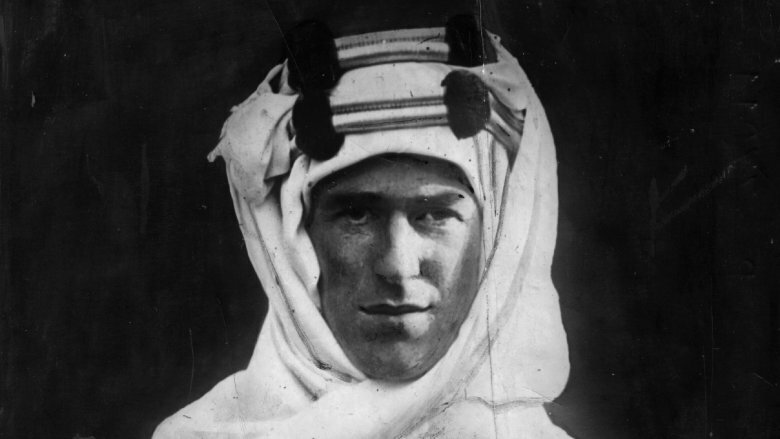 The journal Neurosurgery says Cairns would be hugely impacted by the death of Lawrence of Arabia. It was still in his mind a few years later at the beginning of World War II. He noticed many army motorcycle dispatch riders were also dying of completely unnecessary head injuries, just like Lawrence had. He did research and concluded that if you get on a motorcycle, you need a helmet. It seems obvious now, but it still took 32 years until his work "pioneered legislation" that made helmets compulsory in the U.K. But in the decades since, Cairns, and through him Lawrence of Arabia, saved "countless lives." 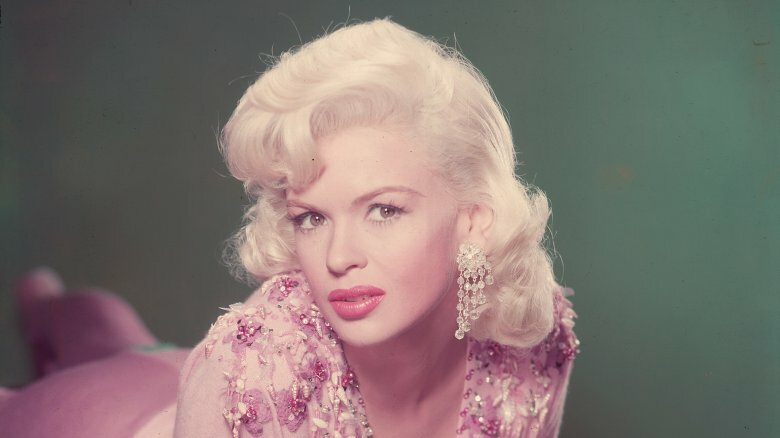 These days Jayne Mansfield is probably best known for being the mother of Law & Order: SVU's Mariska Hargitay. But according to the Daily Telegraph, in her day, she was a successful movie star, model, and beauty queen. While she looked like a budget Marilyn Monroe, she was said to have a genius IQ. By the 1960s, though, her career was in shambles. At just 34, she had three divorces under her belt. Then any hopes of comeback were shattered in 1967. A friend was driving Mansfield, her lawyer, three of her children (including Mariska), and four dogs home from a performance at a club. It was very late at night and the driver's view was obscured by a cloud of insecticide, so he didn't see a tractor-trailer that had stopped in the road. The car crashed into and went under the truck, killing Mansfield instantly, along with the driver and her lawyer. The children and the dogs only had minor injuries. Mansfield's death immediately sparked a campaign for improved road safety. Mental Floss says "shortly thereafter" the National Highway Traffic Safety Administration announced that all semi trucks had to have under-ride bars, which would stop vehicles from going underneath them. That probably would have saved the three adults in Mansfield's car. While the solution wasn't perfect, they helped a lot, and were still being greatly improved on as recently as 2017. These lifesaving bars are most commonly known as "Mansfield bars" in honor of the woman who died to make the change. Being stalked is terrifying, and Los Angeles Deputy District Attorney Wendy Segall (via the Hollywood Reporter) says it makes celebrities "a prisoner." 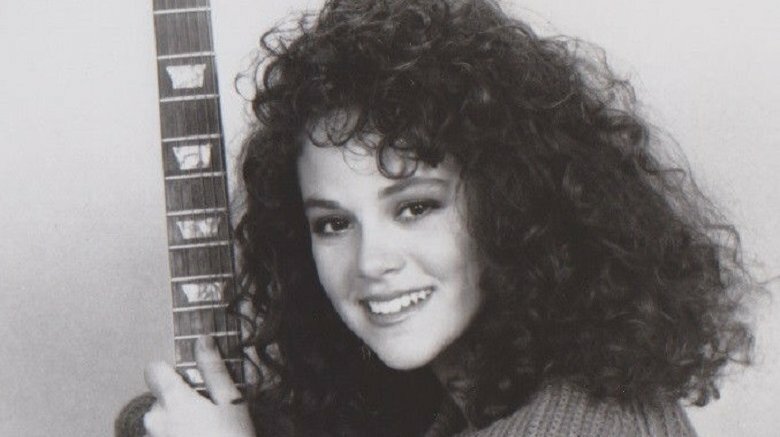 But when stalkers are caught they get punished, and it's all thanks to the death of Rebecca Schaeffer. Schaeffer was an up-and-coming actress in the 1980s. She had starred in the sitcom My Sister Sam and appeared in a few movies. She was preparing to audition for The Godfather III when on July 19, 1989, she opened her front door and Robert Bardo was standing there. Bardo was an obsessed fan who had sent Schaeffer letters and showed up at the studio where she worked trying to meet her. But he finally found her after hiring a private investigator. The PI got Schaeffer's home address from the DMV, and Bardo traveled from Arizona to LA to confront her. After a short conversation she told him never to come back. But he returned later that day, and when Schaeffer opened the door again he shot and killed her. Amazingly, stalking wasn't illegal at that point. But Schaeffer's murder directly led to immediate changes, like "laws that make stalking a crime, restrictions on public access to addresses from driving records in California, and a specialized Los Angeles police unit that works with prosecutors, celebrity attorneys, and security details to keep obsessed fans a safe distance away." While effect was felt mostly in California, other states also adopted criminal penalties for stalking. Now celebrities, and normal people as well, can breathe a little easier. In 2014, about 21 people a day were dying while waiting for an organ, according to The Atlantic. And only 45 percent of Americans were even registered to be donors after they died. Even for the people who do selflessly donate, you need a perfect storm to actually give an organ. Jeffrey Veale, a surgeon at UCLA Medical Center told Vice that only "one percent of all potential donors have organs that are actually suitable for transplantation." If the list of people who donate organs is short, the list of celebrities who have is almost nonexistent. That's what makes Natasha Richardson so awesome. The 45-year-old Tony award-winning actress was skiing with her family in 2009 when she fell and hit her head. She was taken to the hospital, where she was put on life support. But before they let her go, her husband actor Liam Neeson followed her wishes that her organs be donated. At the time it was just a rumor, with a source quoted in People saying organ donation was "very Natasha" and now "something good" had come out of the tragedy. Then in 2018, Neeson confirmed it to Anderson Cooper (via the Irish Independent) saying her heart, liver, and kidneys were keeping three people alive. Click here to sign up to be an organ donor and in heaven you can chat with Natasha Richardson about how great you both are. People don't like being in pain. The problem is, the best chemicals to make your body feel great are opioids, and they're crazy addictive. Currently, the hip new painkiller is fentanyl, a drug 50 times more powerful than heroin. But it takes the "killer" part of its description way too seriously because people are dying from using it. According to the CDC, in 2017 the sharpest increase in drug deaths was fentanyl, with overdoses of it killing 30,000 people. The issue is people get it prescribed to them, use it until it doesn't work as well, take more, get addicted at some point, and it all goes to hell. This is apparently especially a problem with musicians. Billboard says touring artists end up in agony from dancing around on stage every night, so doctors routinely prescribe them fentanyl so they can keep entertaining fans. Until the day they never can anymore. 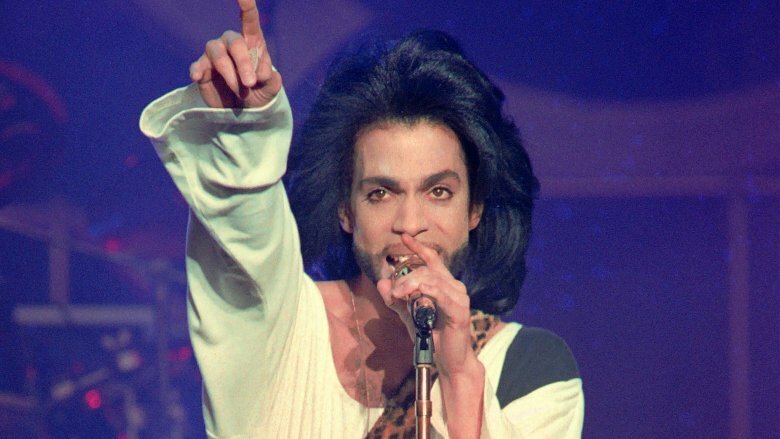 That's what happened to the legendary Prince in 2016, when he died with "exceedingly high" levels of fentanyl in his system. Friends eventually admitted he had been addicted for a long time. Two people who were moved by Prince's death were Grammy-winning singer Chaka Khan and her sister. They were both addicted to fentanyl as well, and their longtime friend's death made them realize they needed help. 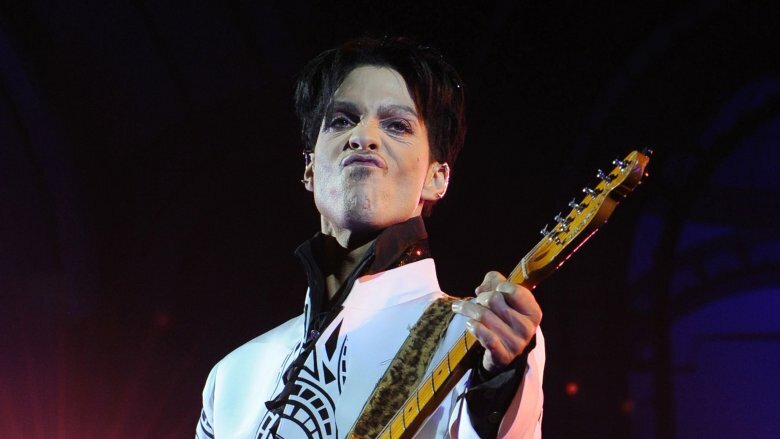 Khan told the Associated Press they were entering an intensive rehab program because "the tragic death of Prince" made them realize it was "time to take action to save our lives." Hers isn't a name familiar to most of the world, but for a time Jade Goody was all over the U.K. tabloids. One of the first famous-for-nothing reality stars, she was a fan favorite on Big Brother in 2002. She got so many offers for shows and endorsement deals after she left the house that she was famous enough to be on Celebrity Big Brother in 2005. While she wasn't always popular, she was consistently in the news. Then, according to a study in the Journal of Medical Screening, in August 2008, Goody was diagnosed with cervical cancer and shared that news with the public. The cancer metastasized, and she died in March 2009, aged 27. While there wasn't the outpouring of grief you get with some celebrities, it turned out that Goody's death still had a profound effect on many women. That medical study found that the media coverage of Goody's diagnosis and death probably saved "a number of lives." Women ran to their doctors when they found out the reality star had cancer. An amazing half a million extra Pap smears were given the year after Goody made her announcement. The month she died, perhaps realizing it could happen to them, too, attendance for cervical screenings was 70 percent higher than normal. Twenty-eight percent of the total women tested hadn't been in over five years, making them way overdue and in possible danger. Goody's death seems to have been the catalyst they needed to finally get their fannies to the doctor. 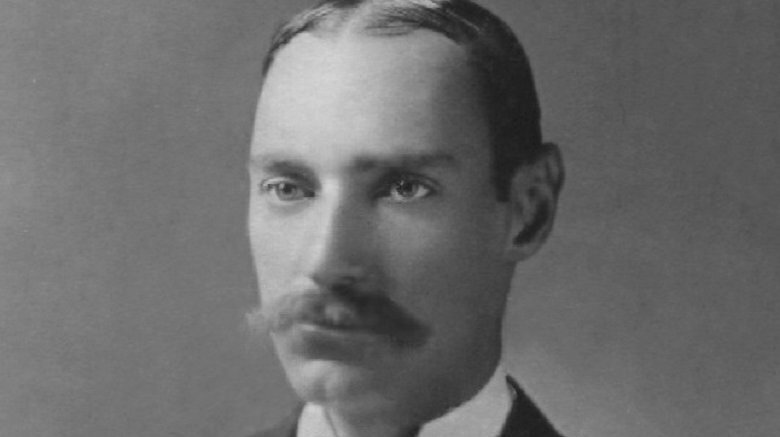 John Jacob Astor IV was the richest celeb on the Titanic, and probably the richest guy in the world. He was sailing back to America on the doomed boat after his honeymoon in Europe. When the Titanic hit the iceberg and it was clear people needed to evacuate, Astor got his wife into a lifeboat. He asked if he could stay with her since she was pregnant but was refused, so he took his imminent death in stride. Instead of trying to buy his safety like some other rich men did (according to the Telegraph), he seems to have started trying to rescue others. Legend says when a 13-year-old boy was refused a spot, Astor put a woman's hat on the kid's head, and declared he was now a girl and could get on, despite objections. The Chicago Record Herald interviewed a woman and her daughter who claimed Astor had saved their lives by forcing a lifeboat that was already lowering to stop and helping them through a porthole so they could get on. Two terrified children were taken to the last lifeboat by a man they later identified as Astor through newspaper photographs, reports the Florida Times-Union. And the Denver Post has a contemporary article that claims Astor was actually offered a spot in a lifeboat by the captain himself, but he valiantly turned it down because "as long as there was an opportunity to save the lives of women, he would not take advantage of the offer of safety for himself."